Centuries ago, home birth was the norm. Women never had access to physicians or hospitals. When a woman began to experience labour signs, a midwife or nurse-midwife was summoned. The midwife would assist the expectant mother get through child birth in her home surrounded by family and loved ones. Contemporary medicine has shunned home childbirth due to the complications that could arise outside the hospital. But in recent times, women have began to embrace this old practice. It is said that a ‘natural’ childbirth strengthens the bond between mother, father and child. Also, women trust and believe that birth is a normal, healthy process which should be experienced in the comfort of ones home. 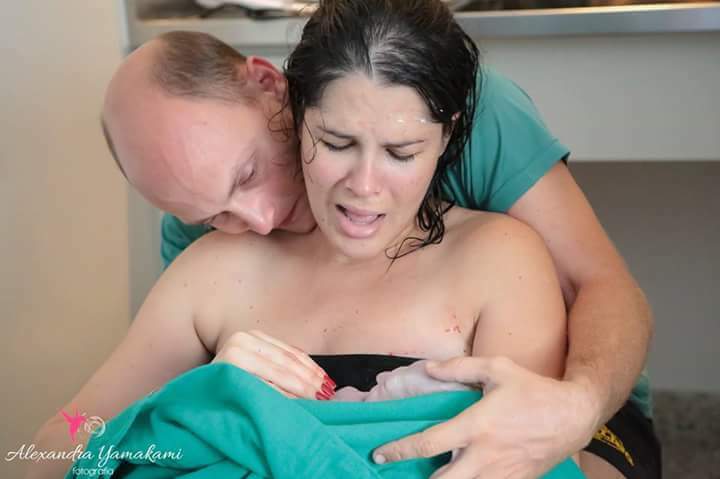 Recently, I came across a woman on Facebook who told the story of her home childbirth through pictures. I was struck by the amount of love and emotion each picture portrayed. I decided to share her story here and you too might nurture the thought of maybe giving birth at home too. The world through his eyes.